Edmentum's hand picked, and most recent posts. Between making sure that you are staying on pace with curriculum guides, practicing test-taking procedures and strategies, and providing the targeted preparation and reinforcement individual students need, spring state testing can quickly begin to feel overwhelming for educators. The good news is that a little research and planning can go a long way toward ensuring that you’re able to provide the support students need to be successful on their state assessments. In this Talking Ed video, Tony will discuss how to identify the early adopters at your school and what you can do to convince reluctant teachers to get on board. Our research team here at Edmentum was honored to have Marzano Research peer review a research project that we conducted for our classroom practice and assessment program, Study Island. 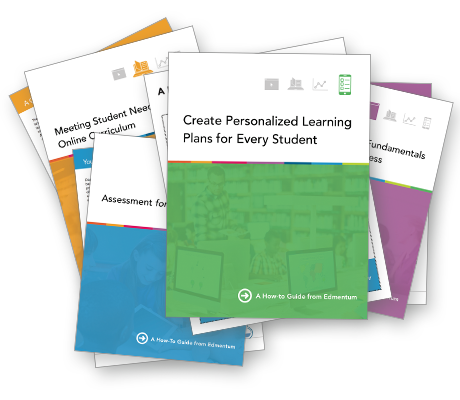 Through that review, Marzano confirmed our findings about the effectiveness of Study Island, and we also uncovered four best practices to help students get the most out of online practice. Last summer, Edmentum rolled out video conferencing software, powered by Zoom, for all of our EdOptions Academy students and educators and it’s been a game-changer. EdOptions Academy teachers have always prioritized relationship building, but the ability to easily connect via video is helping deepen student-teacher connections, improve teachers’ ability to provide intervention, and allow students to more quickly and fully get their questions answered. In an ideal world, you’d be able to sit down with each of your students in a private conversation to check in with them and their mental health. What if there was a way you could figure out who is in need of a deeper check-in, saving you time? One educator’s approach to tackling this issue is going viral on Facebook – and we love what it stands for!